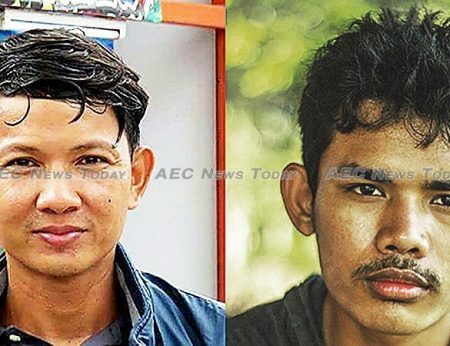 Cambodia’s human rights record and justice system suffered another blow today, January 26, when two environmental activists were jailed for taking a photograph of a boat on the ocean. 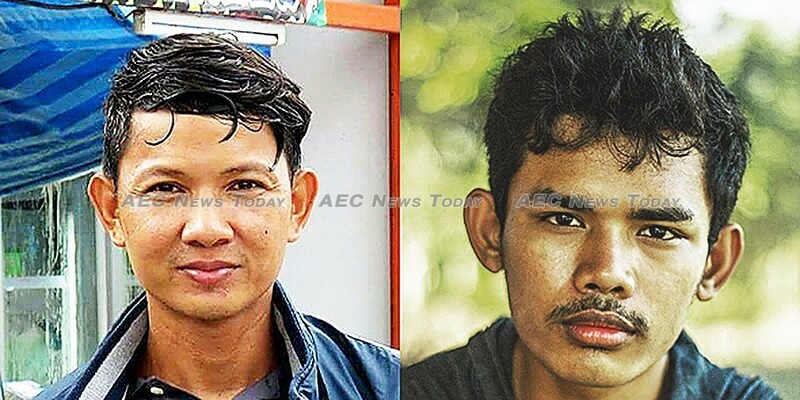 Koh Kong Provincial Court sentenced Mother Nature activists Dem Kundy and Hun Vannak to one year in prison and fined the pair Rl1 million (about US$250) each, after finding the pair guilty of ‘violating privacy’ and ‘incitement to commit a felony’. Seven months of the jail term was suspended. Dem and Hun were arrested on September 12, 2017 while at sea after filming boats suspected of being involved in the transportation of illegally dredged silica sand. The two environmental activists have been held in pre-trial detention since their arrest. During a half-day hearing yesterday the two environmental activists’ defence lawyer, Sam Chamroeun, called for the charges to be dismissed, claiming there was no evidence they had incited anyone to do anything, nor that any persons’ privacy had been violated. Koh Kong Provincial Court Judge Keo Sokha today dismissed the submission and proceeded with the complaint filed with police by the LYP Group, owned by ruling Cambodian People’s Party (CPP) Senator Ly Yong Phat. The boats being photographed by the two environmental activists were reportedly anchored some 4 kilometres (about 2.2 nautical miles) from LYP Group’s special economic zone in Kiri Sakor District, Koh Kong Province in south-western Cambodia. 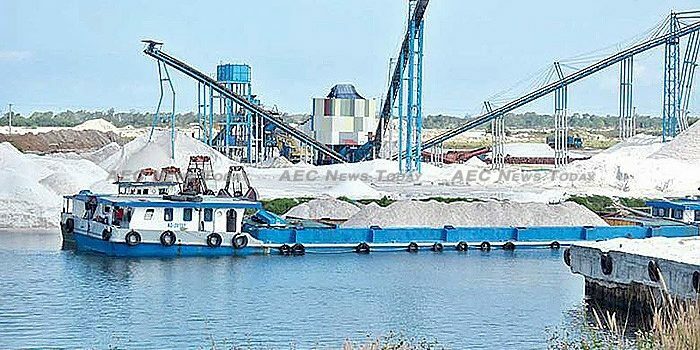 In 2017 Mother Nature released a video highlighting huge discrepancies in silica sand trade figures between Cambodia and Taiwan, following earlier reports of the same involving shipments to Singapore and India. It is estimated that globally only 20 years’ supply of fine white silica sand remains. ‘Incitement’ has become a popular charge to levy against activists, unionists, and those on the wrong side of the Cambodia political fence in recent times, along with the offence of ‘treason’, or ‘espionage’. In Cambodia ‘incitement’ carries a maximum two year jail sentence, while ‘violation of privacy’, defined as ‘recording the image of a person who is in a private place without the consent of the person’, carries a maximum one year jail term and a fine of up to $500. It is unclear whose privacy the two environmental activists were convicted of violating, as reports at the time put the pair at least 1 kilometres (about 2.2 nautical miles) from the boats at the time. Mother Nature co-founder, Alex Gonzalez-Davidson, was deported from Cambodia in 2015, while last year Cambodia’s Ministry of Interior (MoI) announced the the organisation had been struck from its registry of non-governmental organisations (NGOs) following a request from the group’s director, Prum Thomacheat.